The Lions have deserved the home semi final this weekend after winning 12 straight games after dropping their round 2 clash with the Diggers in Merimbula. The Lions have been the form team in 2018 and come into this weekend’s contest at full strength and will be looking to move on to the grand final in two weeks with a win this weekend. On the other hand, Merimbula have been hit by the injury bug in recent weeks with Will Regan to remain out with a broken collarbone whilst backman Nick Forester is also out with an arm injury. In recent contests against the Lions, the Diggers have been unable to kick a score that has trouble Narooma with the Lions possessing the likes of Jai Reed, Simon Mackie, Jeremy Sly and Clifford Taylor up forward that has regularly seen Narooma kick 100+ points in their games. If Merimbula are to shut out these threats they will need to hit the scoreboard down the other end to give themselves a chance of causing an upset. 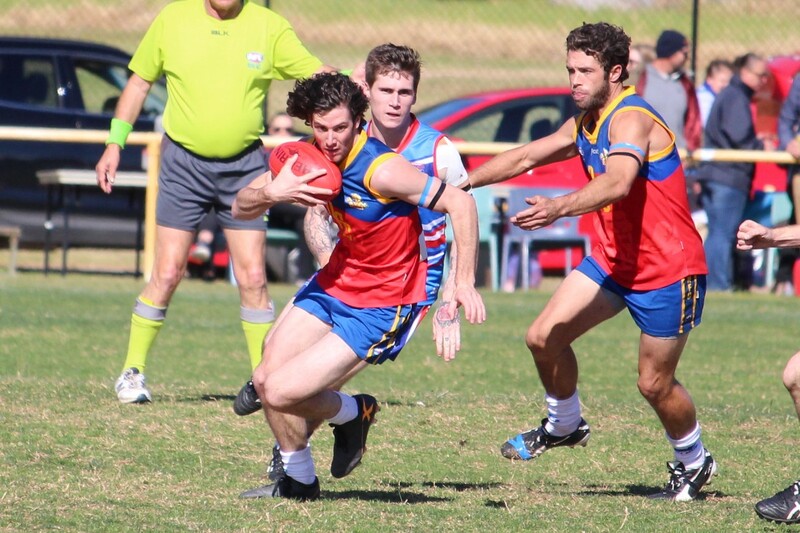 Player to Watch: Luke Talty, a tough inside midfielder, Talty sees plenty of the footy week in and week out. Merimbula will need to watch Talty closely as he has the ability to drift forward and kick handy goals from the midfield. Prediction: Narooma by 30 Points. The reserve grade game is set to see the two southern rivals in Merimbula and Pambula go head to head this weekend. The Diggers have been the front runners all season although that is set to be challenged this weekend with Pambula set to give the Diggers a close contest. Look for this match to go down to the wire. Player to Watch: Ethan White, White has been one of Merimbula’s best this season and will be looking to continue his good form this weekend. Prediction: Merimbula by 10 Points. After sitting in third for the majority of the season, the Pambula Panthers jumped into the major semi final in the final week of the season and will take on minor premiers Eden this weekend. The Whalers have claimed the two wins between the two sides this season although the two clubs haven’t faced each other since round 6. Since that round 6 loss, the Panthers have only lost one other game for the season and with the likes of Claudia Ferguson, Annie Gilbert and best and fairest Amy Hodgson, the Panthers are set to test the Whalers this weekend. The two time premiers don’t have a great record on Bill Smyth Memorial Oval and the team will be looking to turn that around this weekend as they look to progress to their third straight grand final. Talia Westley, Carra Sheldon and Melissa Mitchell will be key players for the Whalers in the middle. Players to Watch: Kiarna Woolley-Blain and Kamilla Grubesic, the two clubs leading goal kickers will be looking to kick a bag this weekend. Prediction: Eden by 14 Points. In a highly competitive under 16’s competition this weekend’s game has a lot to live up to after last weekend’s match that had the fans on the edge of their seats for four quarters that saw Merimbula claim a tight 4 point win. The Lions and Breakers will leave nothing out on the field this weekend as both sides look to avoid a preliminary final match-up with the in form Merimbula Diggers next weekend. With the majority of players going to school with each other day in and day out, both sides have great knowledge of each other and bragging rights for Monday are up for grabs. Both clubs have injury clouds of key players for this weekend with Narooma’s Harrison Bromwich and Bermagui’s Jai Curven both likely to take the field Saturday, although their impact may be limited due to minor niggles. Rocco Lagana has been key to the Breakers success in 2018 whilst Scott Parsons has been a great complementary piece to the team going forward. With the majority of Lions still eligible for 16’s in 2018 players like Thomas Hodge, Rory Spurgeon and Matthew Parker will be key if the Lions are to progress straight to the grand final. Player to Watch: Rory Spugeon, Narooma’s ruck man has had a really good season and has gotten better week in and week out in 2018. It will be a good match up between Spurgeon and Jai Curven in the ruck this weekend. Prediction: Narooma by 2 Points. Last weekend saw the biggest upset of the weekend in the under 14’s with Merimbula defeating Broulee Moruya, could that happen again this weekend between the minor premiers Bermagui and last years premiers Pambula. The two teams have had some tight contests in 2018 and this weekend will be no different as both teams look to avoid Merimbula next weekend. The Breakers lead into this years finals series on a high with solid wins against Broulee Moruya in the final two matches of the season. The Panthers will be without key player Jai VanCamp this weekend as he heals from a broken hand. With VanCamp out, the likes of William Seach, Sean Armstrong and Billy Cooke will need to shoulder more of the load if the Panthers are to cause an upset against Bermagui. 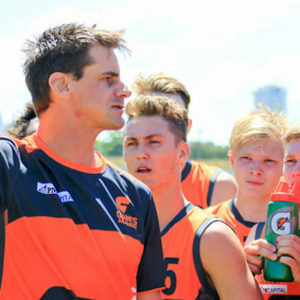 The Breakers will again be reliant on the likes of Campbell Moresi, Jonathan Harkins-McMahon and Tom and Matthew O’Meara as they look to kick a score that will be hard to beat. Player to Watch: Will Kellar, has had a quieter season in 2018 compared to 2017 although will look to have a big finals series. Prediction: Bermagui by 19 Points. 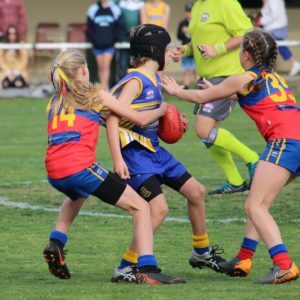 The top of the table clash in the under 12’s is set to be an enthralling contest between the Narooma Lions and Merimbula Diggers. 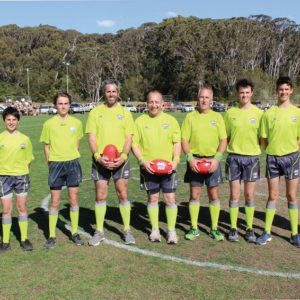 The two teams have been the two form teams of the competition in 2018 and both teams will not want to be taking on 2017 premiers Bermagui next weekend. The Lions finished as minor premiers and home field advantage will be key this weekend as the team will look to take advantage of the early start time to get a jump on their southern rivals. Narooma claimed the four points the last time these two met although the Diggers know that if they bring their best football they can claim victory this weekend. Merimbula have plenty of A graders that Narooma will need to watch including the likes of Beau Bennett, Walter Blewitt and Tom Miller who can change the complexion of a game. On the other side Narooma have the competitions premier ruckman in Jarra Weston who will be able to provide his midfielders in Tom Wilson, William Tiffen, Logan Allison and Lachlan Druhan with first use of the football. Player to Watch: Ryan Simper, The Lions forward claimed the leading goal kicking award for the club and will be looking to hit the scoreboard this weekend.Prediction: Narooma by 8 Points.